1, Post-natal repair for body sculpting. 4, To alleviate the muscle pain, the body treatments, etc. 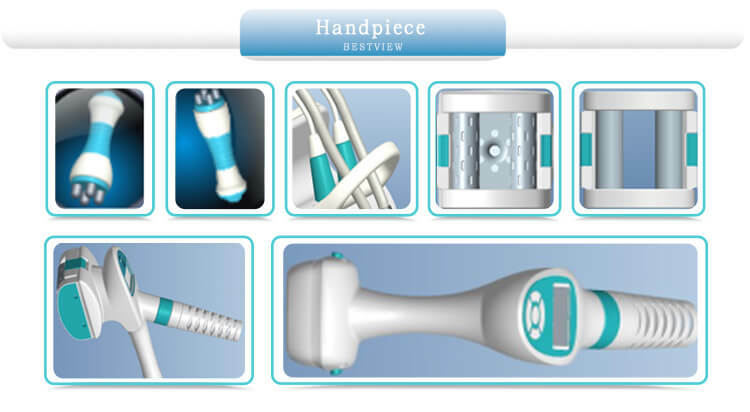 This Velashape machine adopts vacuum technology, the early vacuum technology is used in medicine for recovery after scar removal and liposuction surgery, then technological progress, vacuum technology is applied to the deep massage to promote the cell to do aerobic exercise, has extraordinary detoxification and healthy, has a good effect on improving the orange peel organization, highlighting the “healthy body sculpture. l To use the impedance of the near-infrared laser: To lower impedance of the RF energy on epidermis through the skin temperature rise, and to guide the RF (radio frequency) energy to concentrate into the connective tissue. l To use the negative pressure which caused by the mechanical movement, to get the RF penetration depth to 5 ~ 15mm, and use the rollers to pick up and stretch different cortex fibers, to decompose of subcutaneous fat by squeezing capillaries, lymphatic vessels effectively, prompting the human metabolism. l To use the negative pressure technology for skin folding, use the radio frequency energy to fold skin directly through the two layers, greatly improving the efficacy and safety. l The independent RF treatment, with the deep heating, break down the fat greatly, body shaping, and improve the blood circulation. 1. 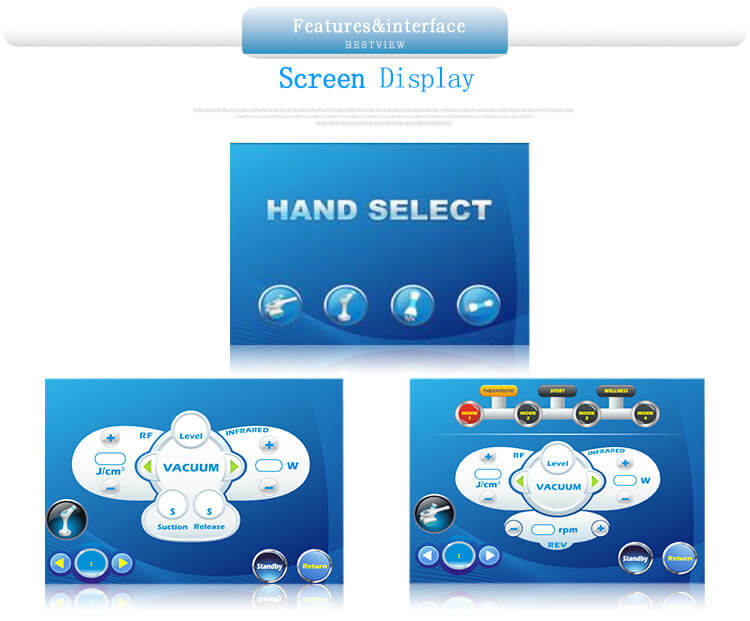 Control system: made up of the true color touch LCD screen, power switch and microcomputer control system, etc. 2. Vacuum and roller system. 3. RF: high-power RF output system. 4. Soft laser system: 650nm semiconductor laser technology.